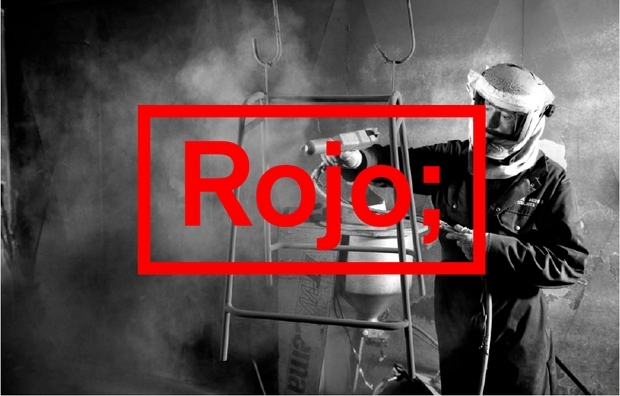 ROJO show is a reunion of contemporary design representative products, which are being guest stars at the international panorama nowadays. 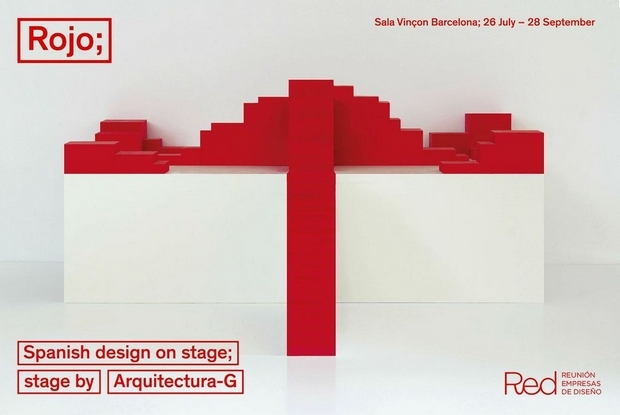 Organised by RED, la Asociación de Empresas de Diseño Español, ROJO exhibits 27 products produced and designed in Spain, all in red colour for the stage. All the brands represented (Andreu World, BD Barcelona, Cármenes, Cosentino, DDResol, Delica, EquipoDRT, EnergíaNatural, Estiluz, Expormim, Gastón y Daniela, Indesign, Joquer, KriskaDecor, Lladró, LZF-Lamps, MadeDesign, Marset, Mobles114, Treku, Nanimarquina, Ondarreta, Sancal, Santa&Cole, Teixidors, TemasV and Vibia) are distributed on a curious stage created by Arquitectura-G. 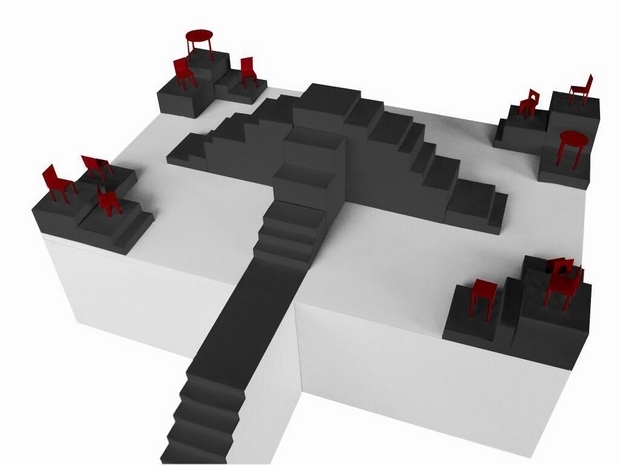 The set design uses the access stair of Sala Vinçon as an inspiration, and it has been conceived as modular thanks to its itinerant concept. 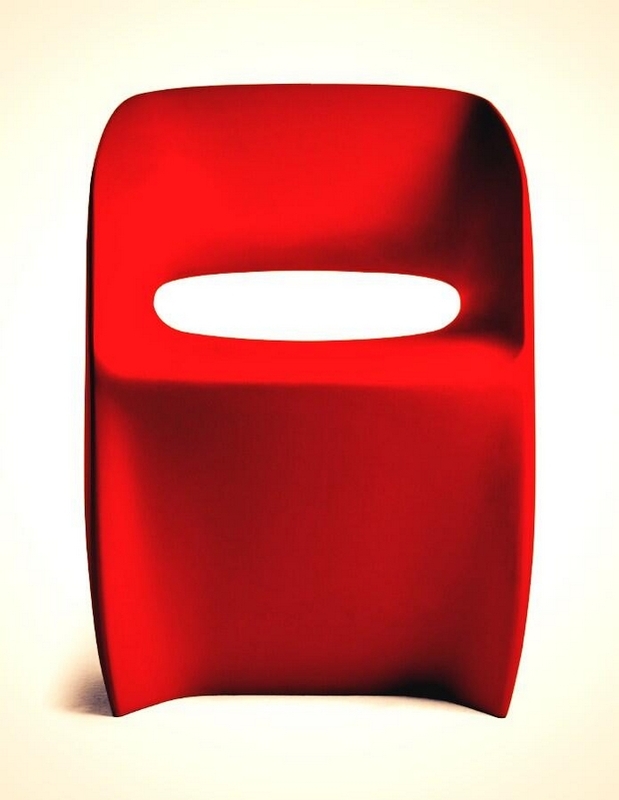 Mobles114 shows Om Basic, a single block polyethylene armchair for indoor and outdoor use 100% recyclable. For contract use in halls, waiting areas, restaurants, meeting tables, outdoor cafe and for domestic use, it was designed by Martín Azúa. Monday to friday 10.00 to 20.30 h. Saturdays 10.30 to 21.00 h.